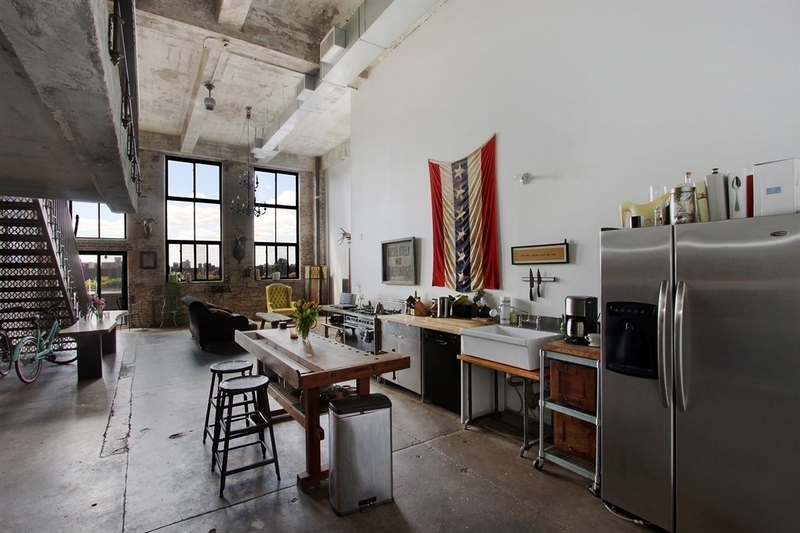 Coming straight from Williamsburg, the Brooklyn neighborhood that’s perhaps best known for its stock of loft apartments, is the ultimate loft at 330 Wythe Avenue. This is at the Esquire loft building, a pre-war building that now has its own dog washing station, common terrace, and compost center. 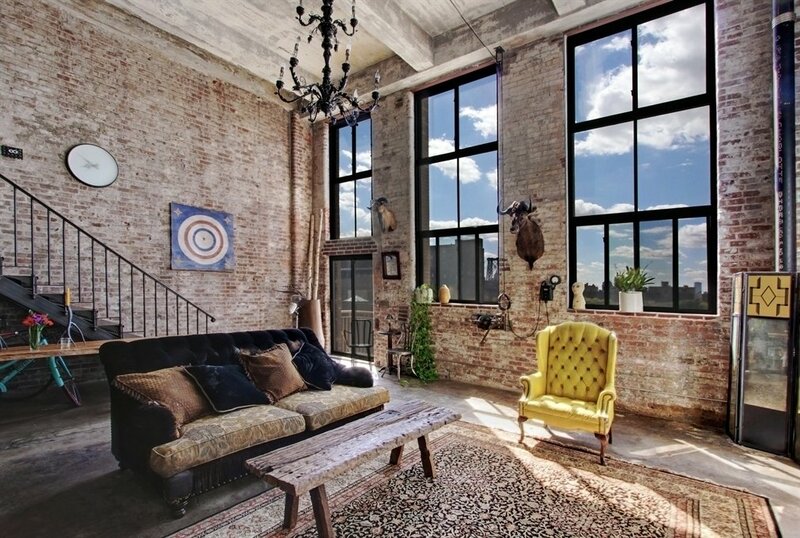 While the building’s gone condo, this apartment is up for rent asking $7,500 a month. 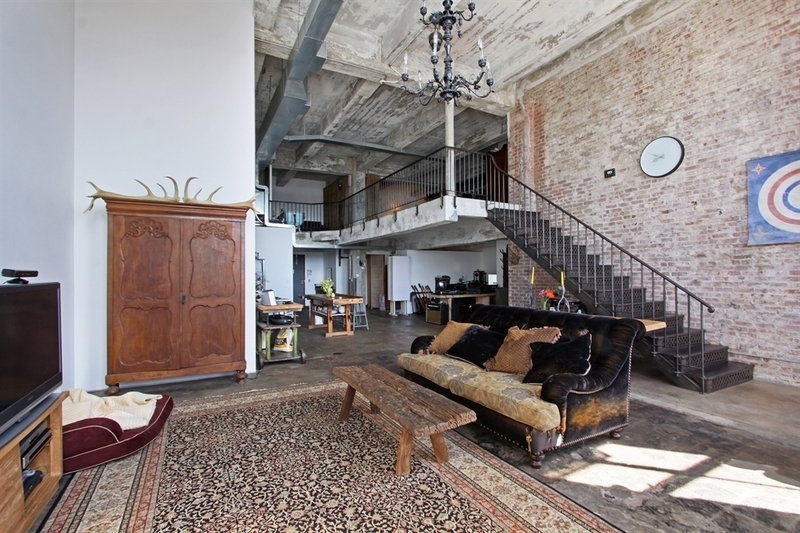 It’s been billed “the coolest loft apartment in Williamsburg,” according to the listing. Do you think it fits the bill? 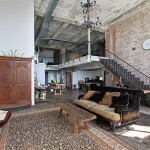 All of the loft essentials are here: 20-foot double height ceilings, exposed ceilings and brick, and poured concrete floors. 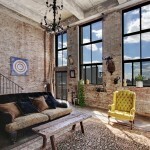 Even better, those giant windows look out onto views of the East River and Manhattan skyline. The kitchen is anything but gritty, with a farmhouse sink, fancy appliances and a center island. 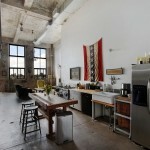 There are also two full bathrooms and a washer/dryer unit in the apartment. 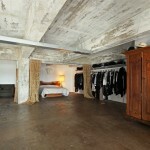 Although there’s a total of 2,000 square feet, there’s currently only one bedroom built into the space. (Looks like the current owner only sticks to black, white and grey clothing.) The bed, which is sectioned off by curtains, is next to a master bathroom with an “open plan soaking tub.” Guess that means you’ll be taking baths out in the open. 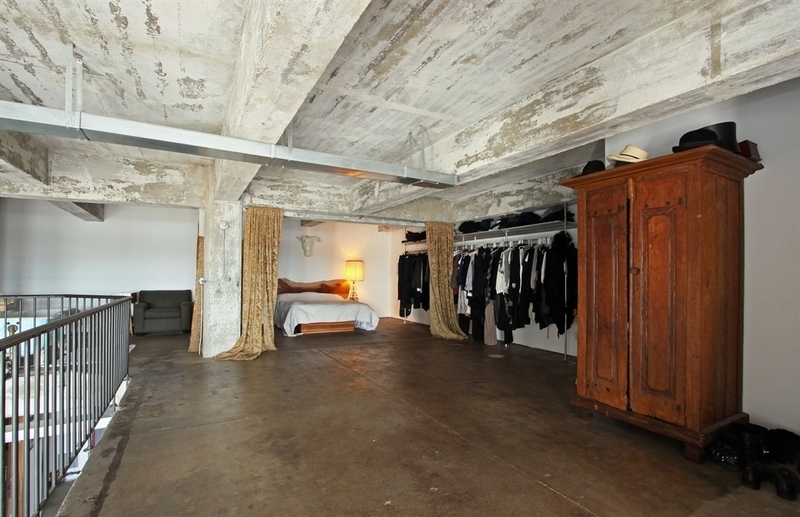 The loft also comes partially furnished, so it looks like you’ll get some cool furniture as part of the deal.